Asus India has officially launched the 7-inch Budget Android tablet, ASUS MeMo Pad in the India Market for Rs. 9,999. 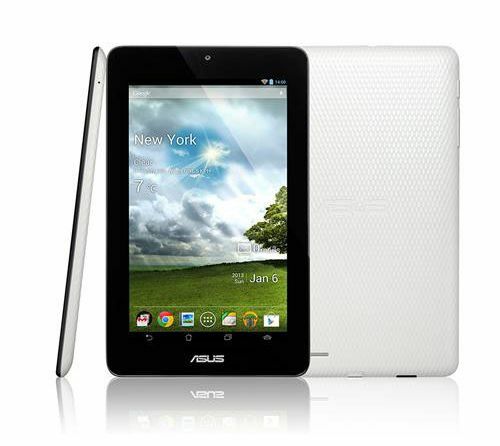 ASUS MeMO Pad ME172V is an Android 4.1 Jelly Bean Tablet which has a 7-inch Twisted Nematic (TN) display with a resolution of 1024×600 (169 PPI), 10 finger multi- touch function and Wide View technology. The tablet has up to7 hours of battery life for all-day computing. Its front facing HD camera can take HD videos (720p) with up to 30 frames per second and the ƒ/2.0 aperture captures more light, providing a better image quality and more accurate colors and enhanced video calls. Furthermore, it encompasses 8 GB internal storage and a Micro-SD slot that supports up to 32GB extra storage. Asus is also offering ‘ASUS WebStorage’ with 5 GB online space for lifetime and ‘ASUS Webstorage Office’ which allows users to view, create, edit and share Microsoft Office documents. With Asus Studio, users can manage, edit and tag photos. In addition ASUS MeMO Pad offers fun on the run and helps in connecting with friends with Social Applications including Floating App with Multitasking, Browser, Video, Sticky Memo, Stopwatch, Countdown and BuddyBuzz. 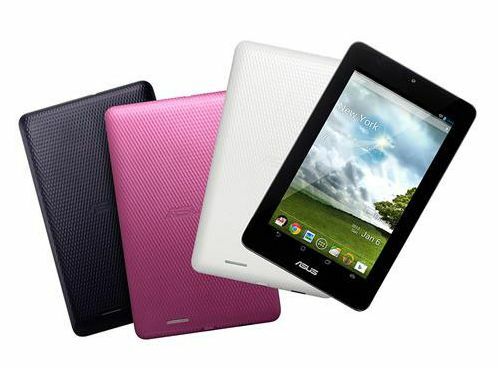 Asus MeMo Pad will be available in three colors: White, Gray and Pink. The Asus MeMO Pad will be available in India at a price point of MRP Rs 9,999/-.